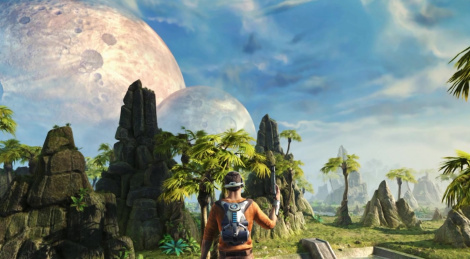 Outcast: Second Contact clearly feels dated in many respects, but it has managed to keep that nice retro flavor older gamers are so fond of. Still, the game came out with a series of issues on PC, one of them being the severe stutter which was supposedly caused by the absence of exclusive fullscreen mode. This has been addressed successfully in the latest patch, along with a good number of other things. Patch details and a short homemade video are inside. • Controls have been enhanced and inertia of movement lowered. • Constraints on jumping have been relaxed in some areas to avoid the occurrence of "invisible walls". • The responsiveness of jumps has been improved. • Slight adjustments to jumping behaviour when in air. • The triggering of dodge rolls has been adjusted in order to prevent interference with sprinting. • The contents of ammo boxes have been rebalanced. • A rare bug that could occur when purchasing the Magwa in Shamazaar has been fixed. • Fixed a bug that caused some characters (for example Zokrim) to get stuck in bodies of water, and sometimes blocking progression. • A display issue that caused Naarn to not properly display in some instances has been fixed. • Implemented true full screen mode (as opposed to the default borderless windowed full screen) as an option in order to alleviate stuttering that appeared on some PC configurations. • A target frame rate option has been added. • Ultra-widescreen support (21:9) has been implemented. • Implemented automatic surround sound support, in cases where adequate hardware is detected. • Audio options with separate volume controls have been added to the options menu. • The audio mixing has been rebalanced. • Snowfall animation at high frame rates has been improved. • CPU usage has been optimized to allow for better frame rate when multiple characters appear on screen. • Multiple crash fixes, in particular when using Daokas, have been implemented. They're also working on a console patch. Audio volume control and jump responsiveness are nice to see adressed. 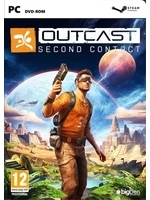 Never played the original but bought it instantly, haven't played it much yet, was waiting for some first patches. And they didn't forget about us UWD fanatics with 21:9, nice. This better be in the remake!! !